I know this is not new to you, but need to post my review about "LEYLAM SHAWARMA RICE" as one of my latest addiction for food. SHAWARMA (as to Wikipedia) is a Levantine(Arabic) meat preparation where lamb, chicken, turkey, beef, veal, or mixed meats are placed on a spit and may be grilled for as long as a day, rolled into a pita bread that had been steamed or heated. Inside it, is a mixture of fresh vegetables like onions, pickles, tomatoes, and cabbages. You can put mayonnaise or a ketchup as condiments. This is what they called the Traditional Shawarma which I love to eat so much! Here in the Philippines, majority of the shawarma store/kiosk used beef for their recipe. Think of it as a TACO or BURRITO in the Middle Eastern side. 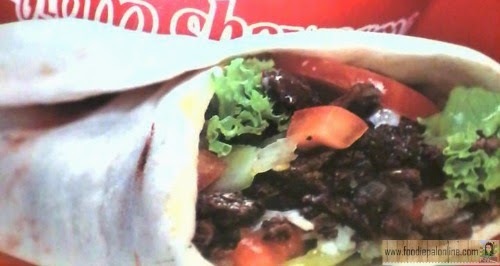 And now, they have Shawarma Rice which will be enjoyed by more because of its real beefy goodness. Just like me, you will also love Shawarma Rice once you've tried it. A kind of a Mediterranean food mix with rice. Cool idea isn't it? Who would think of a shawarma recipe substitute with rice instead of a pita bread? 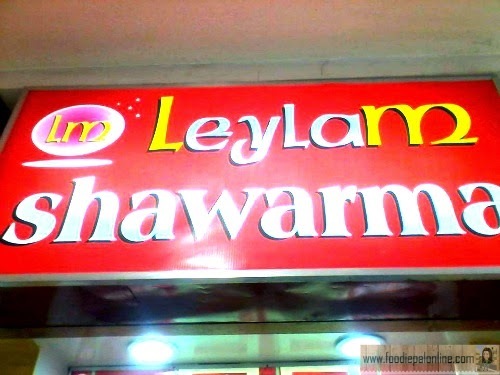 Well, Leylam made it and so far they are the only store that gives a 100% satisfaction for a good beefy shawarma here in the Philippines. 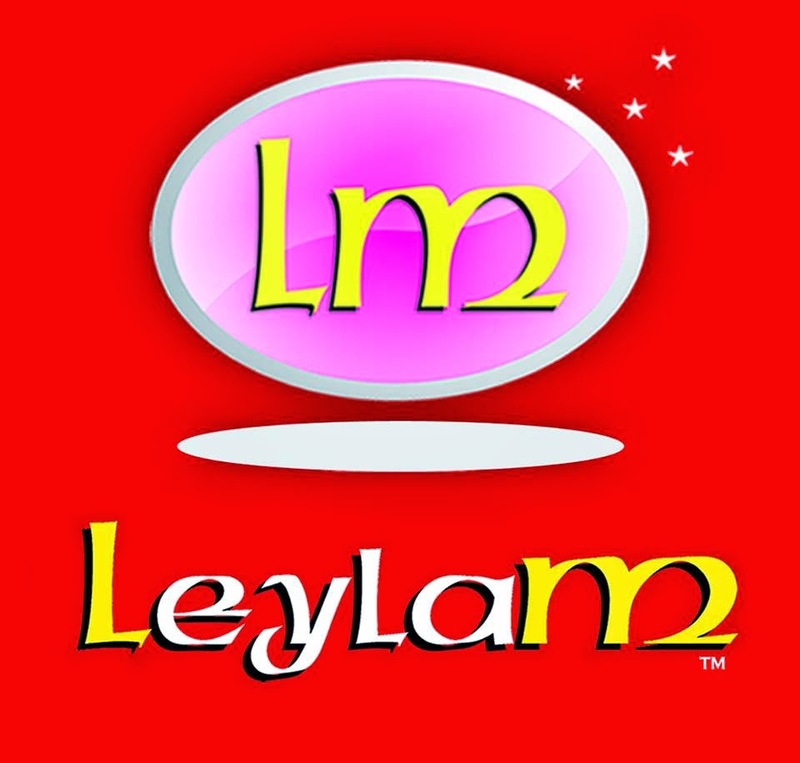 LEYLAM SHAWARMA kiosk is located at Gaisano South Mall fronting the grocery entrance. 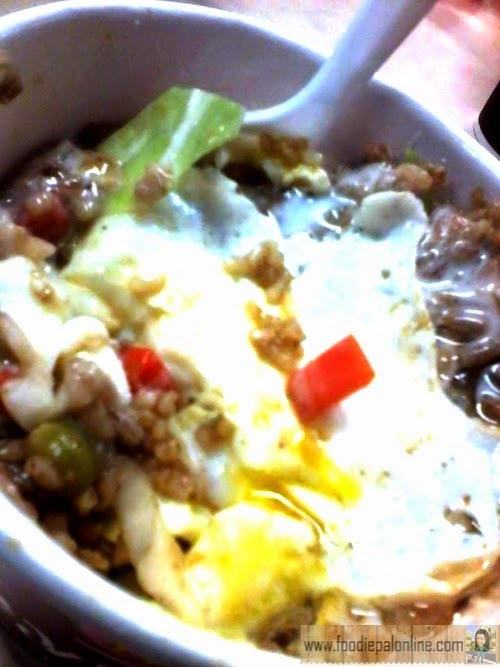 It costs only PHp59 which consists of RICE, cook beef, green peas, mixed veggies, BBQ sauce and a garlic sauce. PHp69 if you want sunny side up or scrambled EGG. They cook and mix the food in front of you, I am so amaze the way they cook it, starting with a small amount of oil on an overhead grill in adding the mixed veggies, a pre-cooked rice, some seasoning and the sliced beef. In the other side they have another grill just for the egg if you prefer yours to have one. After that they transfer it to a plastic tub and put mayonnaise, BBQ sauce and if your prefer spicy shawarma rice they also have a hot sauce and they will add the egg on top(just add PHp10 for additional egg). A very quick and easy, super yummy snack, or lunch or a dinner! Food that is really affordable and tastes amazing! If you enjoy Mediterranean or Middle Eastern cuisine and crave it once in a while, punch up the flavor of your meal by trying the Shawarma Rice at LeyLam. I used to eat shawarma in Dubai City and Riyadh, and I really liked it. he lamb meat's good and beef too.I'd like to try this to compare with my own taste. I like Shawarma because it has a lot of spices. I would love to try their shawarma there. I have tried shawarma rice before and I found it delicious, but I have yet to try this particular brand. One of my favorite is to eat! 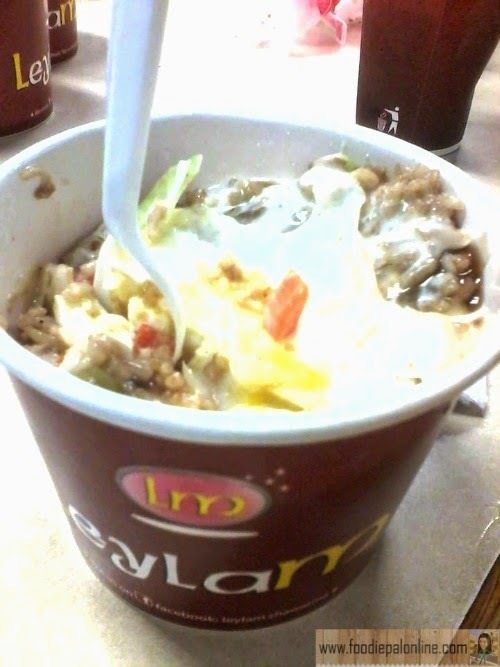 :) food like shawarma is ... delicious and I love it when it has spicy sauce!